A few days ago, Nollywood actresses Omoni Oboli and Omotola Jalade-Ekeinde both stormed India where they were guests at the 2017 African Development Bank Annual Meeting event. They were both invited for the meeting in order to better the relationship between Bollywood and Hollywood and they also took some time to visit Mother Theresa Orphanage in Ahmedabad, India. 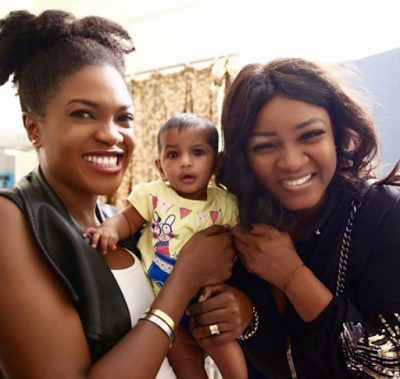 0 Response to " Actresses Omotola Jalade-Ekeinde & Omoni Oboli Storm India For Africa Development Bank Meeting – Photos"